About me…. I’m Nick Kwiatkowski, and I work for Michigan State University as a Senior Telecom Engineer in the Telecommunications Systems Department. I am responsible for the Telephone and Cable TV networks on our campus (our department also handles the Fiber Optics, 2-Way Radios, Cellular and licensed Wireless on campus). 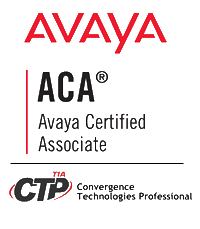 I deal a lot with Avaya branded telephone systems including Aura Communication Manager, and helped design and deploy the fully digital cable television system that we use at the University today. I do quite a bit of work with Java, ColdFusion and Apache Flex in my day job. We run lots of different systems, and I use Java and ColdFusion as middleware to have them all talk with each other. I am also very connected to the community. I run the IgniteLansing event, help with the DemoCamp Lansing event and the Mid-Michigan ColdFusion User’s Group. I was the manager of the Michigan Flex User’s Group, and did most of the presentations while it was operating from 2007 through 2015. I’ve also written articles for various magazines (FAQU, Avaya Users, etc), and do quite a bit of forum answering, etc. I’ve also written a few articles for the Adobe Developer Center. I was nominated to become apart of the Adobe Community Professional Program in 2010 through 2015. I joined the Apache Foundation as a PPMC and committer for the Apache Flex project and watched the program graduate to a TLP. In 2015 I joined as a member of the Apache Foundation. Spare time? Hardly have any anymore since settling down, being apart of the community and joining my wife in marriage. But, I enjoy mountain biking (with my sweet Specialized Stump-Jumper! ), watching the Simpsons, and working on websites… I used to be all into BBSes, running my own for almost 15 years, but after a while I felt like I was the only pillar still holding up the old-school mentality.